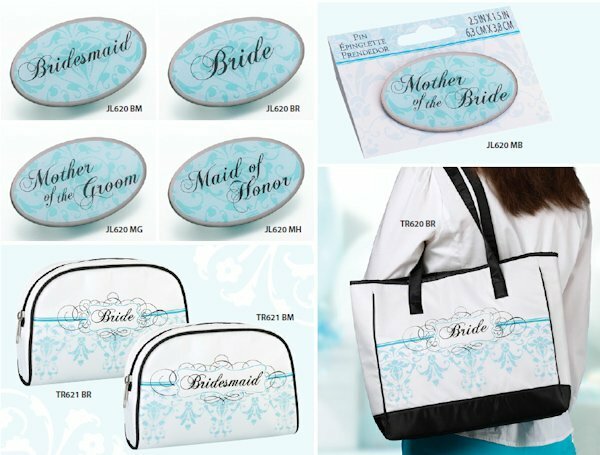 Give the mother of the groom a special memento of the wedding day. 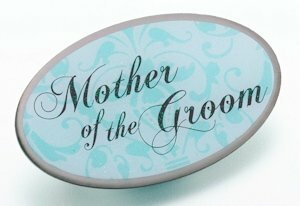 This sweet aqua pin reads "mother of the groom" in pretty black script on a background of aqua flourishes. It is coated in clear epoxy and enhanced with a shimmer of glitter. Measuring 2.5" x 1.5", this little gem is sure to be cherished.